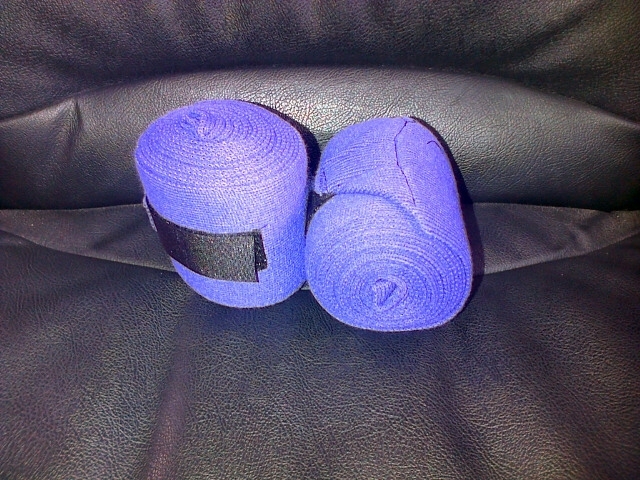 Set of two soft stable bandages with velcro fastening. Ideal for general use including stable and travel purposes. Each bandage measures approximately 3.1m in length and 10cm wide. May vary in colour from the photograph.